We hope you’re hungry! Start with a nopal (cactus) and heirloom tomato salad topped with queso fresco. 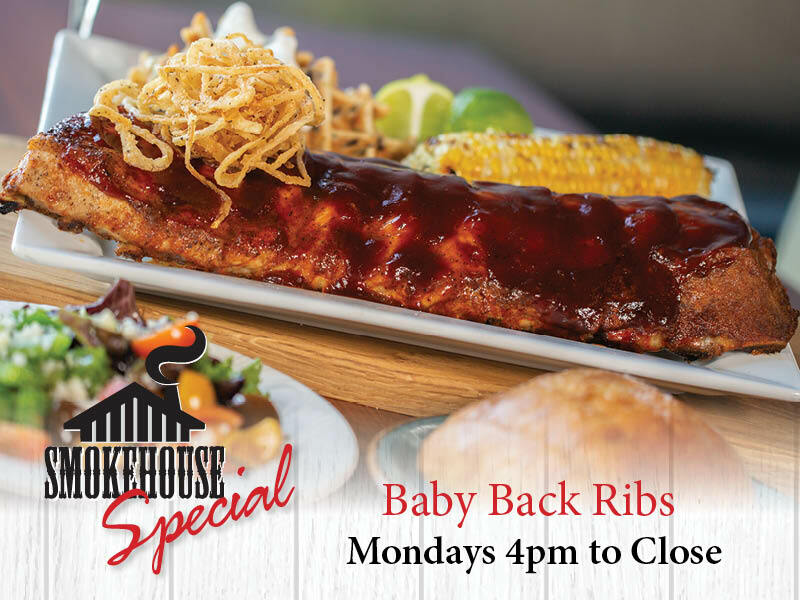 Then, dive into a platter of baby back ribs coated in savory spices, and smoked to tender perfection, and basted in your choice of our house BBQ sauce, Carolina mustard BBQ sauce, or Sweet Baby Ray’s BBQ sauce, then topped with onion straws. Served alongside a black bean waffle with lime crema and corn on the cob.